As we discussed in our last blog, healthcare organizations face a multitude of choices when selecting modules for their IT dashboard. The first five in our list of ten modules every healthcare dashboard should include were claims management, Meaningful Use, readmissions, incident reporting and risk management and reporting. This blog will focus on the rest of the list and explain the benefits each module offers. 6. Ad Hoc Reporting – By allowing for the creation of customized reports and prioritizing data analysis by the personnel who can make the most of the data analysis, this module provides greater visibility into clinical decision-making and net revenue performance. It lets staff members easily develop reports by drilling down into patient level details while meeting regulatory reporting requirements. Having choices is usually a good thing, but sometimes having too many choices can be overwhelming. For instance, it’s good to have a wide selection when shopping for a car, but sifting through the 25 different types of toothpaste at the grocery store can seem daunting. Healthcare organizations face a multitude of choices when selecting modules for their IT dashboard, but we’ve compiled a list of ten modules that should be included. Read on for the first five. Claims Management – By automating the management of claims from inception to resolution while incorporating best practices, this module helps healthcare organizations keep cash flow consistent while providing them with more thorough insight into their financial performance. Meaningful Use – Healthcare organizations that need to attain Meaningful Use certification can use this module to monitor their progress – it can display percentages of compliancy and provide status updates for different various MU objectives and measures. As with most dashboard modules, it can be customized to meet a provider’s specific requirements. Interactive self-service dashboards enable users to see what matters most and take action without dependence on IT to create individual and custom reports. They offer a graphical representation which makes strategic data easy to understand and lets organizations easily assess their overall status. 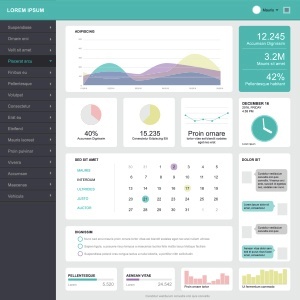 A well-designed dashboard provides the user with key analytics and replaces the need to review several detailed reports. 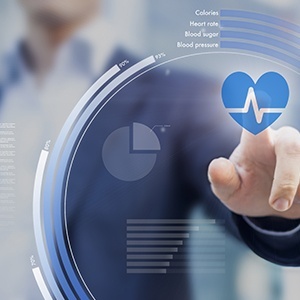 In healthcare, dashboards can be utilized to track revenue cycle performance, help meet meaningful use standards and monitor disparate processes with more efficiency. Furthermore, dashboards can integrate with electronic workflow management solutions to enable access to vital metrics that can be used to identify areas for operational, quality of care and financial improvement. 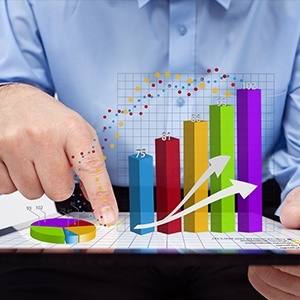 Dashboards provide a high-level overview of the organization’s overall performance and can be utilized to compare performance with pre-determined benchmarks and standards. Also, by gathering real-time data and consolidating it in a meaningful manner so it’s clear and consistent, healthcare organizations can identify and quantify issues before they become critical. 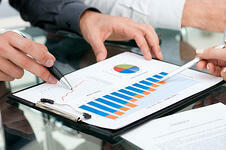 Identify and quantify issues before they become critical. Mobile dashboards provide even more benefits for healthcare providers through real-time access to actionable, accurate and accessible data. They offer an intuitive and customizable method for clinicians to access necessary information anytime at any place, thereby improving patient care. 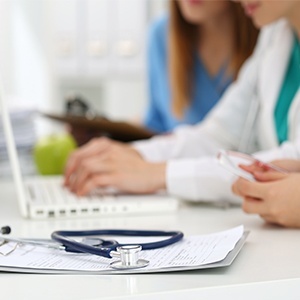 In fact, a survey by Black Book Market Research found that 81 percent of physicians were unhappy with their EHR reporting and plan on replacing it. 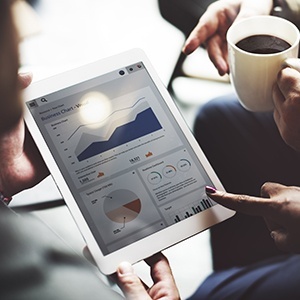 An additional 11 percent said they weren’t overly-impressed by their EHR reporting, but weren’t sure if they would switch or stay the course.